Canon may be planning to announce at least two mirrorless cameras and a PowerShot compact shortly – that's if registration information leaked by Japanese camera rumors website Nokishita is to be believed. The website has published details of four models that are said to have been registered with overseas certification bodies. Two of these, currently titled PC2358 and PC2367, are believed to be updates to the EOS M mirrorless range. Nokishita claims that details of the two models were included in a recent update to Canon's EOS Utility program. Based on details of the battery in each model it surmises that the PC2358 is likely to succeed either the EOS M5 or EOS M6 (pictured above), while the PC2367 should replace either the EOS M100 or EOS M50. Given that the EOS M50 was only announced last year, a replacement for the EOS M100 – which was released in 2017 – seems more likely. The upcoming model is said to use Canon's LP-E12 battery, which ships with the EOS M50 and discontinued models, while an LP-E12E variant of it is supplied with the EOS M100 as standard. Both models are said to have Wi-Fi and Bluetooth, technologies that have featured on many recent Canon cameras, from compacts and mirrorless bodies through to DSLRs. Details of two further cameras, currently dubbed the PC2355 and PC2366, have also surfaced. The website believes the latter of those is a Mark III update to the Canon PowerShot G7 X Mark II. The NB-13L battery said to be used by the new model is currently used by the G7 X Mark II, as well as by other PowerShot models such as the G1 X Mark II and SX740 HS. 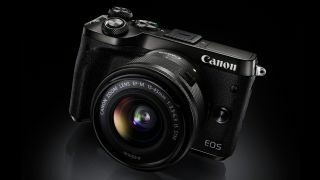 Canon now offers two mirrorless camera lines – the APS-C-based EOS M series and the newer and more senior EOS R series. The EOS R line has two full-frame models, the EOS R and the EOS RP, while the EOS M line hasn't seen any new bodies added since the EOS M50 in February. Despite the launch of the EOS R system, Canon has pledged to continue supporting both the EOS M line and its DSLR line. Most recently, it introduced the EOS Rebel SL3 / EOS 250D as its latest entry-level DSLR.